Grid Music is a handy little step sequencer with probability. I did a demo / review of the app and realized that I really like this one. This update is very nice. • New: Added templates featuring velocity cells. • Changed: The default MIDI velocity is now 80, or mezzo-forte (labelled “mf” on velocity cells). • Changed: The full volume of the built-in synthesizer is louder. • Changed: The Shift setting has a wider range, from -3 to +3 octaves. • Changed: Pattern Length is now called Measure Length. • Fixed: The Play button is now easier to tap. • Fixed: Playback no longer stops when deleting the current pattern (if there is one before or after to replace it). • Fixed: Document thumbnails would sometimes not be updated. Grid Music is a miniature workshop for creative MIDI sequencing. It can be used to compose classic 16-step patterns, but can also create loops, random branches, and polyrhythm. Its 5×5 grid allows for countless arrangements of melody and timbre while keeping the entire composition visible and easy to understand. Pitch and rhythm can be directly manipulated by touch, and the structure of a pattern can be altered in just a few taps. Grid Music is a 2-dimensional MIDI step sequencer. 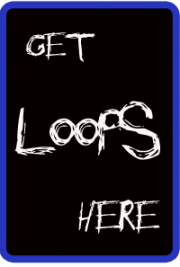 It can be used to compose classic 16-step patterns, but can also create loops, random branches, and polyrhythm. Its 5×5 grid allows for countless arrangements of melody and timbre while keeping the entire composition visible and easy to understand. Pitch and rhythm can be directly manipulated by touch, and the structure of a pattern can be altered in just a few taps. MIDI output. Grid Music can now control other synthesizers via MIDI. Randomization. Tap the Randomize button to randomize the values of a pattern’s note cells. Undo. When editing a pattern, you can undo changes like randomization, adding or removing connections, changing cell values, and more. More scale options for pitch quantization, including triads and sevenths. The synthesizer now supports a sustain parameter. 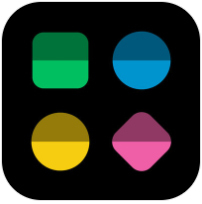 • Send MIDI notes and control change messages to compatible synthesizer apps. If you have a compatible MIDI interface and the Lightning to USB Camera Adapter, Grid Music can control an external MIDI synthesizer. • Easy to use built-in synthesizer featuring envelope settings, PWM, and vibrato. • Randomize button for quickly exploring new melodies. • Pitch quantization ensures that notes are always in key and makes it simple to create chord progressions. Includes several scale and chord options. • Multiple levels of undo while editing patterns. • Perform songs with perfect timing using synchronized pattern queueing. • Support for Ableton Link allows Grid Music to play in time with other apps and devices. • Support for the iOS Files app makes it easy to organize your compositions and access them from multiple devices. Grid Music is a generative step sequencer. It makes music by conducting pulses between cells, which can play notes, modulate the synthesized sound, or emit pulses at regular intervals. Pulses can change direction randomly at intersections, creating random melodies and timbre. The fixed grid is designed for direct manipulation and is easy to use on devices big and small. • Patterns are easy to edit and can be composed live. Create a tune in a few taps. Alter the structure of the sequence in a few more. • Pitch quantization ensures that notes are always in key and makes it simple to create chord progressions. • The built-in synthesizer can be modulated as part of a pattern. Add an extra dimension to a melody or create a randomized sonic texture.